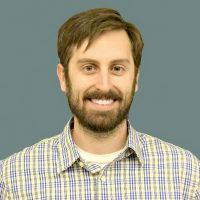 Brian is a postdoctoral fellow in the Center for Experimental Therapeutics and Reperfusion Injury at BWH studying the dual role of macrophages in promoting the resolution of inflammation and tissue regeneration during vascular injury. He joined the laboratory of Dr. Matthew Spite in 2014 and was recently awarded an individual National Research Service Award from the NIH/NHLBI. Brian earned his PhD from the University of Louisville focusing his dissertation work on the anti-obesogenic effects of nitric oxide. Away from the bench, Brian is passionate about empowering postdocs in all aspects of their professional development. Shortly after starting his postdoc, he joined the PLC helping to launch the Connectors Program. Since then, Brian has assumed an active role in the leadership of the PLC, serving as Vice President and currently as President. Outside of work, Brian enjoys skiing, bowling, catching games at Fenway and taking in any and all live music. Deepak Bhere is currently a Research Fellow at the Center for Stem Cell Therapeutics and Imaging within the Neurosurgery Department at BWH. His research is focused on developing novel cell based therapies for Glioblastoma. 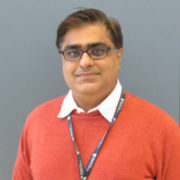 Deepak is a member of the Leadership Planning Committee for the New England events of National Brain Tumor Society. As the Director of Operations for SimplyJith Foundation, a non-profit organization based in Massachusetts; he actively works on developing programs to improve healthcare and education in rural communities in India. 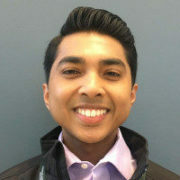 Deepak has been a member of Networking Committee within the Postdoctoral Leadership Council since early 2017 and currently also serves at the Vice President of Communications. As an avid aviation enthusiast, Deepak enjoys spending his leisure time spotting planes and enjoys collecting models of commercial aircraft. Sayeda Yasmin-Karim, MD, Ph.D. is a postdoctoral fellow in the Department of Radiation Oncology at BWH since April 2016. She earned her Ph.D. in Chemical Engineering from University of Rochester in New York focusing her work on diagnosis of aggressive prostate cancer from circulatory cancer cells where she earned a pre-doctoral training award from the Department of Defense (DOD). Prior to this she earned MS in Immunology from Long Island University, New York and Medicine from Chittagong Medical College, Bangladesh. Her current research focuses on development of a treatment model for local and metastatic tumors by synergic action of radiation, immunology, and nanotechnology. She earned “Best in Physics” award from American Association of Physicist in Medicine (AAPM 2017), Research Excellence Award at the annual Discover Brigham 2017, and Excellence in Mentoring award from BWH Postdoctoral Association 2018. Sayeda loves traveling to different parts of the world and cooking international dishes. 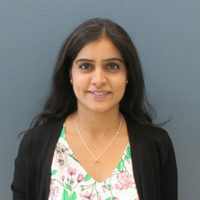 Jasneet Khalsa, Ph.D. is an immunologist by training and has been a postdoctoral fellow at the Center for Stem Cell Therapeutics and Imaging, Department of Neurosurgery at BWH since 2017. She obtained her Ph.D. in immunobiology at National Institute of Immunology, India in 2015. Her current research focuses on understanding immune response and further immune-cell based therapies for Glioblastoma. 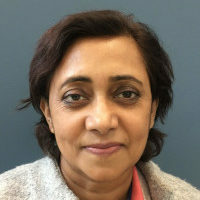 Jasneet has a strong interest in teaching and mentoring, and she was the recipient of the BWH Postdoc Mentoring Award in 2018 following which she joined the Mentoring Circles Program as a co-director. She is passionate about music and enjoys traveling, hiking and baking in her spare time. Yashini Govender, Ph.D. is a Postdoctoral Research Fellow mentored by Raina N. Fichorova, M.D., Ph.D. in the Laboratory of Genital Tract Biology in the Department of Obstetrics & Gynecology at Brigham & Women’s Hospital. Dr. Govender is originally from South Africa. She graduated from the University of Cape Town, South Africa with her Ph.D. degree in Molecular & Cell Biology in 2015. 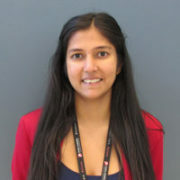 Yashini initially joined the Fichorova Lab for 3 months in 2012 while doing her graduate studies. Her Ph.D. research focused on hormonal contraceptives and female genital tract inflammation. She investigated the differential effects, molecular mechanism of action and steroid receptor involvement of two progestin-only injectable contraceptives medroxyprogesterone acetate and norethisterone enanthate in inflammatory gene expression. She returned to the Fichorova Lab in November 2016 as a Postdoctoral Research Fellow, and her research is focused on investigating factors that influence female genital tract inflammation and HIV-1 risk. 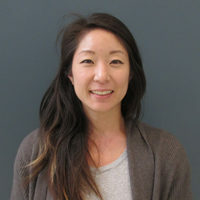 Ashley Ogawa-Wong, Ph.D. completed her graduate work in Cell and Molecular Biology at the University of Hawaii in July 2017, where she investigated selenium metabolism in glucose homeostasis. 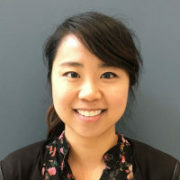 Since September 2017, Ashley has been a postdoctoral fellow at BWH in the Endocrinology, Diabetes, and Hypertension Division. Currently, she studies thyroid hormone regulation in the muscle stem cell niche, which has potential implications in muscle stem cell transplantation. Ashley recently joined the PLC, and recognizes that there is a lack of readily available information regarding the many career choices available to Ph.D. holders. Through the connectors program, she hopes to help current postdocs explore both academic and alternative career options to figure out their next steps. Since learning that Massachusetts is the birthplace of the chocolate chip cookie, she has been on a mission to find the best in town. To counter that, she stays active by running, bouldering, and yoga. 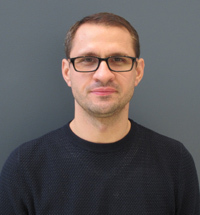 Viorel Simion, Ph.D. is a postdoctoral fellow in the Division of Cardiovascular Medicine. 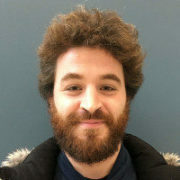 Previously he was a postdoctoral researcher in France, at Centre National de Recherche Scientifique, developing molecular tools to monitoring the microRNAs expression and nanomedicine therapeutics. He earned his Ph.D. in Cell Biology at the Institute of Cellular Biology and Pathology, Romania, and the Universitair Medisch Centrum Groningen (UMCG), The Netherlands, studying Nanomedicine applications in Cardiovascular Diseases. His current research focuses on discovery of long non coding RNAs (lncRNAs) with implication in Coronary Artery Diseases and Inflammation. He is interested in entrepreneurship and business development, and is currently involved in the PLC Networking Committee. He enjoys playing soccer and mountain hiking. Rafik Boudra, PhD, has completed his graduate work in Molecular Physiology and Genetics at the Blaise Pascal University in Clermont-Ferrand, France, where he studied the role of nuclear chaperones in the progression of prostate cancer. Since 2016, he is a postdoctoral research fellow in the Department of Dermatology at the Brigham and Women’s Hospital, under the supervision of Dr. Matthew R Ramsey, PhD. He studies transcriptional network governing squamous cell carcinoma initiation, maintenance and progression, with the ultimate goal of finding “druggable” transcriptional co-factors that may ultimately help in the treatment of these deadly cancers. Besides work, he enjoys playing basketball, soccer, and riding his motorcycle to explore New England. Henry is a postdoctoral fellow in the Division of Cardiovascular Medicine at the Brigham and Women’s Hospital. After obtaining his Ph.D. at the University of Toronto in 2017 with his dissertation on the role of microRNAs in atherosclerosis, he joined the laboratory of Dr. Mark Feinberg to investigate the role of non-coding RNAs in vascular pathologies and angiogenesis. He is currently holder of the American Heart Association Strategically Focused Research Network for Vascular Disease fellowship. Outside the lab, he has a healthy obsession with baseball and enjoys snowboarding like any other Canadian. 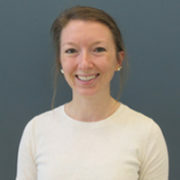 Sannie Culbertson, PhD, is a postdoctoral research fellow in the Sherwood lab at BWH studying the DNA repair outcomes of CRISPR/Cas9 mediated gene editing. She recently obtained her PhD in biochemistry from Iowa State University in Ames, IA, where she studied the kinetic mechanism of a chromatin modifying complex in budding yeast. While at Iowa State, Sannie developed a passion for enabling fellow graduate students to explore a variety of career opportunities and to develop their professional skills in preparation for the next phases of their lives. She is excited to join the PLC and contribute to the postdoc community at BWH. Away from work, Sannie enjoys playing volleyball, walking her dog, and exploring the outdoors. Christian has been a postdoctoral fellow in the Department of Orthopedics at BWH since July’18 working in the laboratory of Dr. Julia F. Charles. He is a national of Mexico and received his B.Sc. and M.Sc. degrees from Universidad de las Americas-Puebla. Christian earned his Ph.D., in Immunology from the University of Connecticut Health Center and since then has been studying osteoclasts and macrophage biology. He is currently focused on the development of osteoclasts and how these cells control bone growth and the formation of the bone marrow niche from embryogenesis to adulthood. He discovered that some types of osteopetrosis can be explained by the lack of specific populations of osteoclasts and can be treated by monocyte transfusions. Christian is currently investigating the mechanisms of bone destruction that occur in diseases like inflammatory arthritis. He is the recipient of the ASBMR Young Investigator Award. Christian enjoys hiking, skiing, playing and watching soccer! 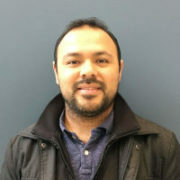 Parikshit is a Postdoctoral Research Fellow at Golby Lab in the Department of Neurosurgery at Brigham & Women’s Hospital, since July 2018. He completed his medical school training at K. J. Somaiya Medical College in Mumbai, India. Prior to graduation, his research pursuits focused on Pharmacology and Natural Product Chemistry with a definitive shift toward Neurosurgery during his clinical years. His current research interests include projects pertaining to intra-operative brain shift, intra-operative fluorescence imaging, tractography using DTI, brain plasticity using fMRI and the development of tools to visualize the growth of meningiomas. Subsequent to his fellowship, he hopes to pursue a Neurosurgery Residency Training Program in the United States. In his spare time, he enjoys freelance graphic design, self-learning programming languages, philanthropic ventures and live music. 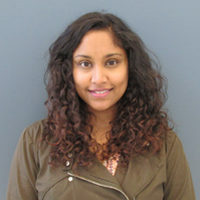 Priyadarshini Kachroo, Ph.D. has been a postdoctoral fellow in the Systems Genetics and Genomics Unit, Channing Division of Network Medicine at BWH since June 2017. She earned her Ph.D. in the Genetics and Bioinformatics department at Institute of Clinical Molecular Biology, Kiel, Germany where she studied epigenetic alterations in inflammatory bowel diseases that may affect the germ-line and in certain contexts can be inherited to offspring. Her current research focuses on genome-wide association studies in addition to methylation for asthma and chronic obstructive pulmonary disease. As a volunteer of the BWH Reiki program, she additionally works as a Reiki practitioner at BWH. She has been a member of the Advocacy committee of the BWH Postdoctoral association since October 2017. In her spare time, Priya enjoys traveling, cooking and meditation. Adrien Lupieri, Ph.D. is a postdoctoral fellow in the Department of Radiology at BWH since December 2017. He earned his Ph.D. in Pathophysiology at University of Toulouse in France, focusing his work on cellular mechanisms of arterial healing following surgical intervention. His current research focuses on the development of nanoparticles to image and detect early vascular thrombosis. Outside of research, Adrien loves mountain trail running and road biking as well as exploring the countryside on his motorcycle. 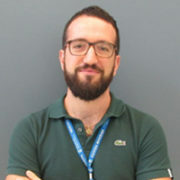 Ruichao has been a postdoctoral research fellow in the Department of Pulmonary at BWH since July 2018. She completed her M.D. at Guangxi Medical University and obtained her joint Ph.D. degree in immunology at Harvard Medical School and Sichuan University, focusing on cellular mechanisms of T regulatory Type 1 (Tr1) cells transplantation immunology. Currently, her research study focuses on the signaling and immunotherapy for Chromophobe renal cell carcinoma. For life, Ruichao likes to ski, hike, and read. 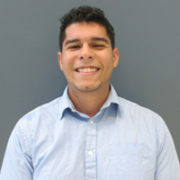 Francisco (Frankie) Velázquez has been a postdoctoral fellow in the division of pathology and the center for excellence in cardiovascular biology at BWH since June 2017. He received his Ph.D. in Immunology from Tufts Medical Center, where he studied Th17 cell recruitment in inflammation and autoimmunity. 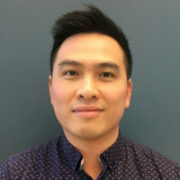 His current research focuses on the application of recruitment models and antibody development to understand the impact of cis and trans interactions in CD47-SIRPα signaling in inflammation and cardiovascular disease. He is a T32 training grant fellow, and has strong interest in mentoring, community outreach, and inclusion of minorities in STEM applied fields. During his spare time, he enjoys runs around the arboretum, cooking, dancing, volunteer work, drawing and martial arts. 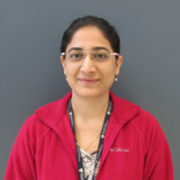 Needa Virani, Ph.D. has recently joined the Radiation Oncology Department at BWH as a postdoctoral fellow. She earned her Ph.D. in Biomedical Engineering at the University of Oklahoma developing cancer therapy nanotechnology agents with a specific focus on the use of tumor vasculature targeted carbon nanotubes and molecular drugs. Her current research focuses on the combination of gold nanoparticles as radiation dose enhancing and tumor vasculature disrupting agents. Needa was the founder and president of the National Biomedical Engineering Society (BMES) student chapter and part of the founding committee of the new undergraduate Biomedical Engineering program at the University of Oklahoma. Needa also has a strong interest in mentoring as a founder of the BMES mentoring program as well as a participant as big sister in a big/little program. In her time off, Needa enjoys cooking and attending local festivals.